1 Rinse and peel the vegetables. Quarter the fennel, and remove the hard stalk. 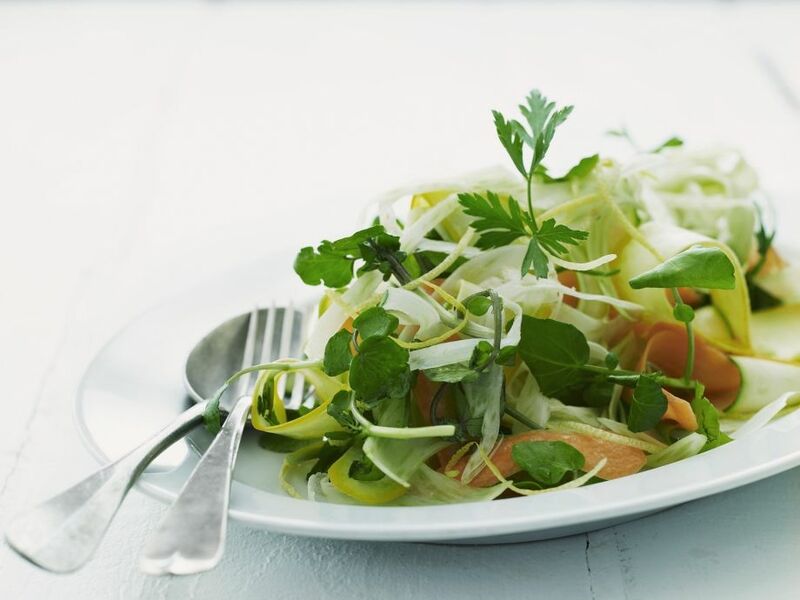 Thinly slice the carrots and zucchnini into long ribbons using a peeler. Rinse the watercress, separate the leaves, and dry. Rinse the lemon in hot water and dry. Finely grate the zest, and squeeze the juice. Mix 2 tablespoons of lemon juice with the oil, then season to taste with salt and pepper. 2 Mix all of the vegetables for the salad together, and drizzle with the dressing. Mix until thoroughly combined. Garnish with the parsley.